Easter has come and gone, but chances are you’ve still got a package or two of Peeps left over. These fluffy sweets just don’t seem so fun to eat after the fact, but don’t toss them just yet! Try one of these simple recipes, instead. Peeps s’mores are just as the name implies. All you need are the Peeps, chocolate bars and graham crackers. 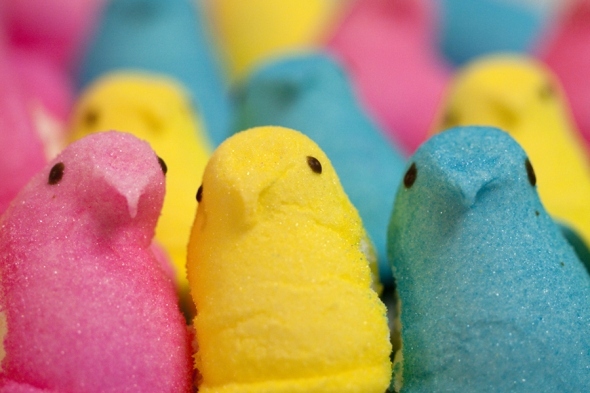 Simply swap the marshmallow for a colored peep. You can roast the peep over a fire or melt it in a microwave if you do not have access to a bonfire. You can create heaven in your mouth with Peeps stuffed cookies. 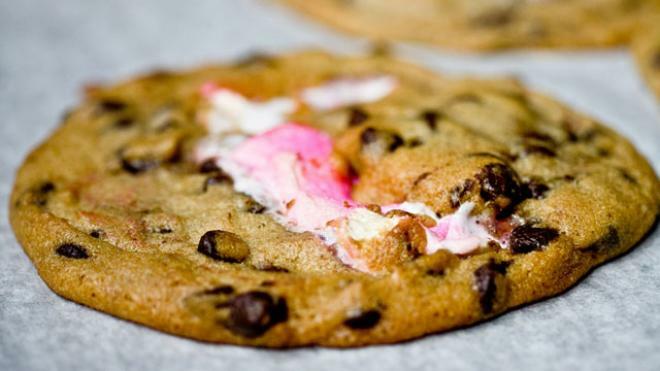 Think the cookie adaption of a s’more, but even better! The peep will ooze within the cookie with every bite. 2. Line two cookie sheets with parchment paper. 3. Place a large gob of cookie dough on the parchment paper and flatten it. 4. Put one pretzel on top of the cookie dough, then the peep on top of the pretzel. 5. Mold another gob of cookie dough around the pretzel and peep, making sure the it is all completely covered by dough. 6. Repeat this process with six cookies on each sheet about three inches apart. 7. Bake for 13 to 15 minutes. Allow them to cool before serving. Peeps’ Rice Krispies Treats are a unique treat to bring home to share with friends and family. 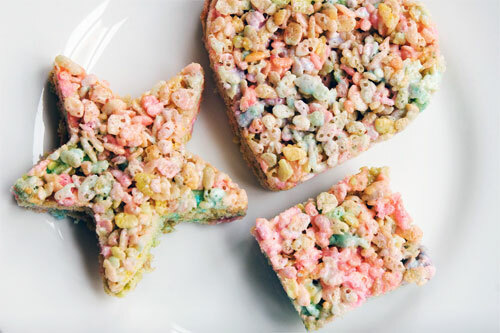 The peeps will make the krispies colorful for a fun pop of color. 1. Melt butter over low heat in a large pot. 3. Add the cereal and stir until mixed thoroughly. 4. Coat a 13 x 9 x 1 ½ inch pan with cooking spray. 6. Let it cool completely before cutting (cut into different shapes for a fun effect). Drooling, yet? We bet you’ve never been so happy to have a few leftover Peeps. Enjoy!